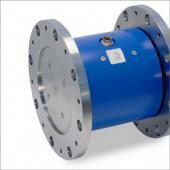 The Series 5000 Torque Sensor is a non-contact measurement system and is highly robust. It is well suited to high torque applications. The Series 5000 Torque Sensor is suitable for applications including test benches and high requirements in torque sensor systems. See the data sheet for the Series 5000 Torque Sensor below.